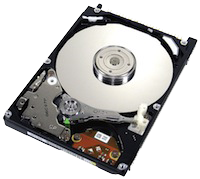 In this post we’d like to extend our huge thanks to hard drive experts Data Clinic Ltd for their excellent services in recovering the files and data from our server in double quick time. Businesses like ours are reliant on the technology we use so when our computer server crashed on Thursday afternoon we were in a mild panic to say the least. Unable to open any of our files we were imagining the worst – that we’d lose the files for good. Unable to access our data or get the computer working again we identified the problem to be with the hard disk drives that were in the machine and not working properly. Some colleagues of ours who have more to do with computers and IT than we do suggested we contact Data Clinic’s data recovery service. We took our server to their local data recovery centre where they identified the cause of the problem being a crashed hard drive. Fortunately they were able to work some magic on the hard drive and rescue our files and our business was back online by Friday afternoon – less than 24 hours after the hard drive problem occurred. So Data Clinic, this post is for you. Thank you so much for helping us in our hour of need – your services are life saving. This entry was posted in Manchester and tagged advice, computer, data, recovery on May 28, 2018 by Bluesman Keith.